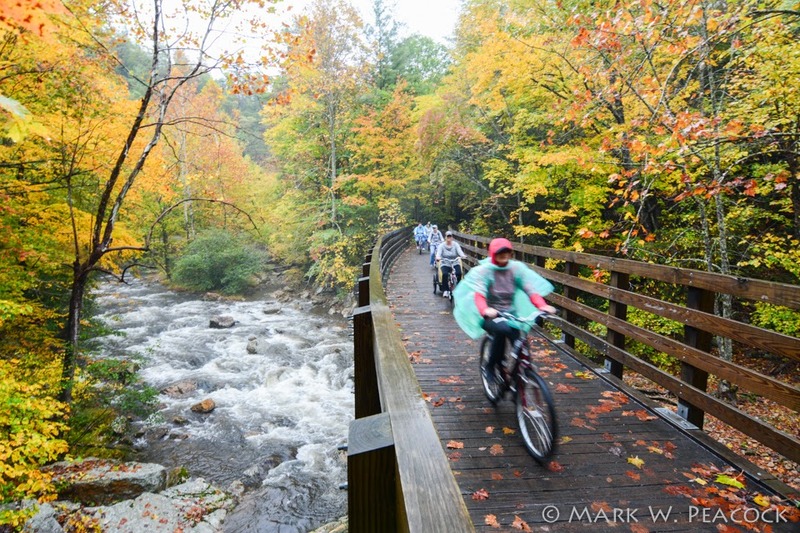 Above: The rain didn't stop people from enjoying autumn on the Virginia Creeper Trail. :) Leaves are near peak in the Mount Rogers/Grayson Highlands area. I'll be posting more pics of my trip this week. Here's a somewhat grainy and shaky 'hyperlapse' I took of driving through the Mt. Rogers Recreation Area. What a fun app! Hard to believe, but I was driving slowly (and yes, mom, safely) -- the app speeds everything up and stabilizes the final video as well. You can see that fall is progressing very nicely in southwest Virginia!